The JOOLA Nobilis: The name says it all! Only the most precious and high-quality materials are used for this blade. The design and excellent workmanship in every detail speak for themselves. The structure of the single veneers and layers make the JOOLA Nobilis special: the PBO-c fibres are directly placed on the Kiri core veneer. The 1.2mm hard Hinoki outer veneers give the blade a prolonged ball contact time in addition to the traditionally good playing feel and allow the most extreme spin ball at high trajectory. This construction gives the blade stability, elasticity and a lot of force, enabling very precise play even at high speed. 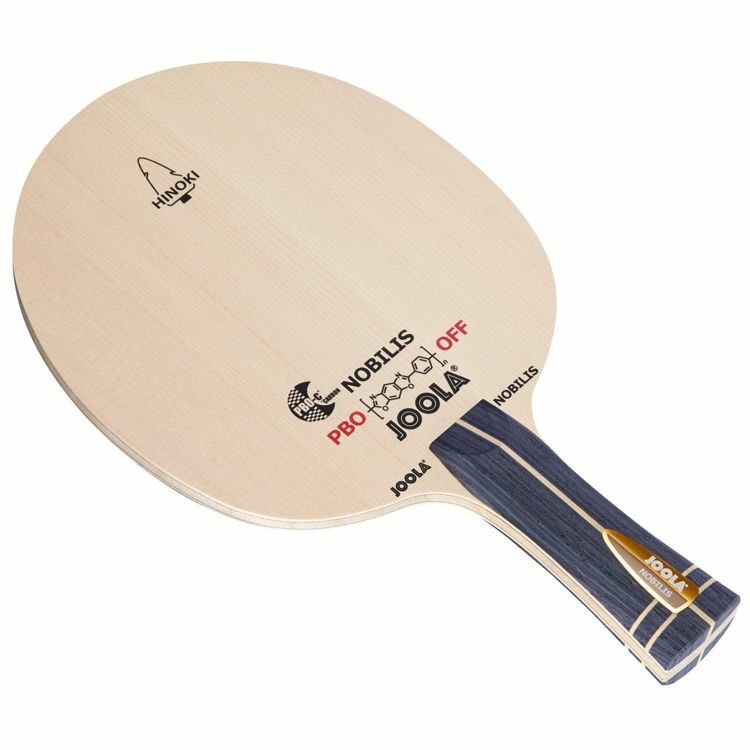 The interaction of the individual components make the JOOLA Nobilis PBO an offensive blade that is more than just fast: balanced, good spin, precise with pure feeling. The JOOLA Nobilis PBO - in its own class!